Islamabad, Pakistan: A heavy earthquake was recorded in Islamabad Pakistan at 8.54 pm on Tuesday. The Federal capital was jolted by a heavy earthquake which was recorded at 2055 hours of local time (Pakistan Standard Time). Reports are reaching and this is a developing story. 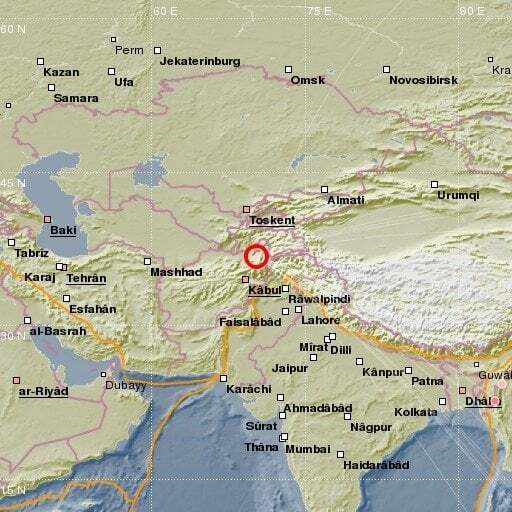 According to information the epicenter of earthquake was in Hindu Kush mountains of Afghanistan. Depth of earthquake was less than 10 km inside surface of earth wile it was 5.6 on scale. Earthquake was felt in Chitral valley, Kaghan valley, KPK, Peshawar, Rawalpindi, Kamra, Hazro, Jhelum, Gujranwala, Lahore, Kasur, Murree Hills, Nushara, Parachinar, North Waziristan, South Wazirstan and in all cities of Afghanistan and Tajikistan.